1. Strengthen the connection of standard and scientific research, especially the major national science and technology research projects. Guide the scientific and advanced technology backbone enterprises. Transfer independent innovation achievements into standard. Promote the development of new technology and new technology. Now the valve standard council is formulating the national standard Intelligent Valve Electric Actuator. Intelligent valve electric actuators, are new type products which developed abroad at the beginning of this century. Through the introduction and development, China had mastered the technique and it is developing very fast. Developing high technical content of Intelligent Valve Electric Actuator standards will have a great effect on the development of the industry, block or reduce imports. Convert a batch of new product, new technology into standard. Reduce the cost and improve the efficiency. Optimize the function of products and make new products and new technologies are quickly recognized by the market. Promote the progress of the valve industry. 2. Standardize the saving energy and reducing consumption and new materials, Promote the adjustment of industrial structure. China has limited natural resources are limited, so laying electricity saving, water saving, material saving is one of the development direction of valve standard. Speed up the elimination of low efficiency and large energy consumption of products, adjusting the industrial structure, promoting the development of new technologies, new products and application. Valves in the aspect of saving material, the key is to study new materials, using new material instead of metal materials to achieve the goal of saving steel and precious metals. New ceramic valve uses new ceramic materials to make the valve seals and wear parts, which has improved the wear resistance, anti-corrosion and sealing of valve products, greatly extended the service life of the valve. Raw materials of manufacturing ceramic are various. The cost is low. Superior ceramic material can be made from aluminum, carbon, silicon and other common elements. In this way, it can save a large amount of metal materials and rare mineral resources. Ceramic valve is used in electric power, petroleum, chemical industry, metallurgy, mining, sewage treatment and other industrial fields. It has abrasive resistance and good sealing. And it can minimize leakage, which help to protect environment. Keep up with the development of technology, Valve Standardization Committee developed the Ceramic Seal Valve (JBT10925-2005) standard, to speed up the promotion of ceramic seal technology and to promote the development of ceramic seal material. In terms of reducing energy consumption, vigorously develop valve products that have small flow resistance and little loss. In terms of power saving, the focus is on the valve electric device. Control the energy consumption of the electric actuator by choosing the low-energy-consumption and low-noise motor and the improving electric device structure. The world has entered the period of the development of economic globalization. Economic globalization is the inevitable trend of the international standard. Valve through the ISO standard and China standard correlation research, has a general view of China adopting the valve standards. Determine the direction and intensify mining scale. At the same time, strive for substantial participation in international standardization work, blend China standard in the international standards to get power and dominance of international standards. Due to historical reasons and area, at present, ISOTC153 valve has formed has been the pattern that Europe and the United States as the main body. So on the one hand, the national valve standard council hosted the international standards. On the other hand, actively participate in the meeting; Actively sent experts to join in the international organization of standards committee TC, SC and the working group on WC, draft international standards seriously vote. And offer favorable terms and conditions of our country to the ISOTC153 secretariat, make international standard will reflect our reasonable requirements. 4. Improve the safety of products, ensuring the safety of the equipment and personnel. Many valves are used in pressure piping and their safety is very important. AQSIQ issued the Safety Technical Specifications of Special Equipment. As a kind of pressure piping components, the valve belongs to special equipment. 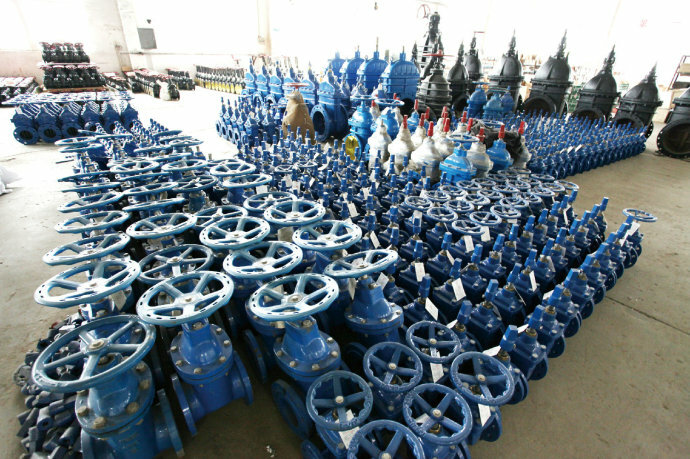 There are two main reasons for valve products causing accidents, one is that the product does not meet the standard requirements, such as shell wall thickness requirement, the welded joint flaw detection requirements, material requirements, etc., the other is caused by the improper installation and use. China Valve Standard Council has been pay more attention to the security requirements of product standards and the requirements. These requirements are referred in the Safety Technical Specifications of Special Equipment, which has become mandatory requirements. Thus, maximize the protection of equipment and personnel safety. In recent years, Valve Standard Council successively applied and developed the Valve Minimum Wall Thickness of Shell Size Requirement Specification, Industrial Valve Installation, Maintenance, General Requirements and other standards. The safety requirements and the revision of safety valve standard system will be one of the focuses of future work. Mantenerse al día-Resgístrase para nuestra hoja informativa y nos siqa por medio social. Dirección: NO. 111, Caoli Road, Fengjing Town, Jinshan District, Shanghai, China. Derechos de Autor © 2016 Shanghai Yaao Valvula Co., Ltd.
lugar para golf: China Valvula.